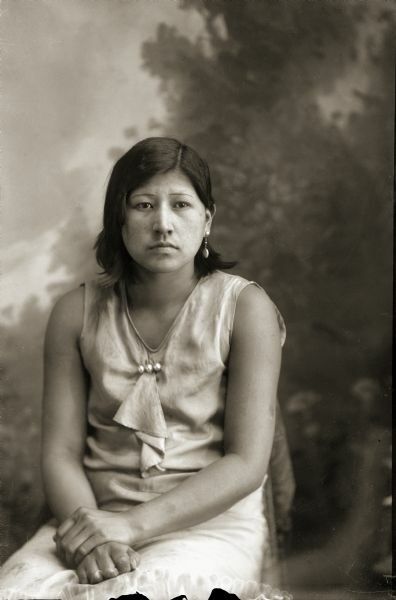 Three-quarter length studio portrait of a young Ho-Chunk woman in short hair posed sitting and wearing modern dress in front of a painted backdrop. She is wearing a dress and earrings. Identified as Lavina Davis (UkSuUkKah), reportedly the first Ho-Chunk woman to wear slacks.